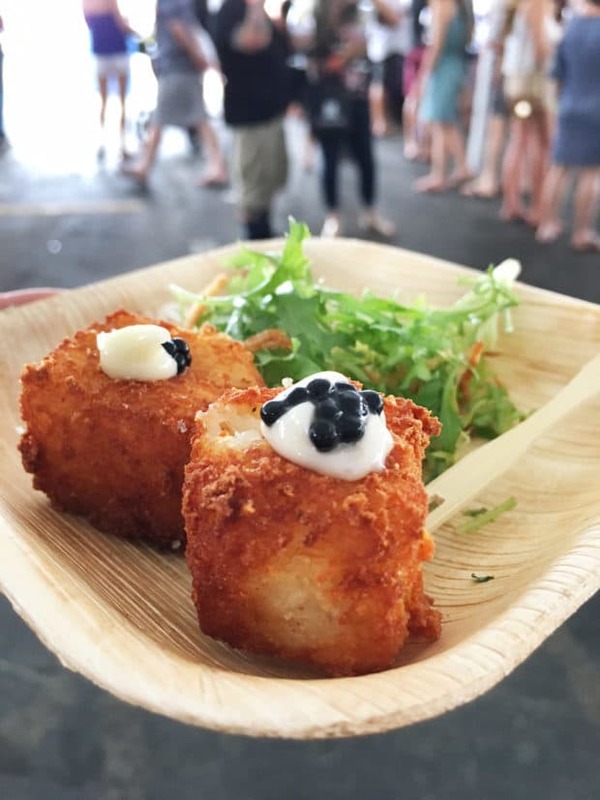 Yet another Denver Food + Wine Festival week has come and gone! 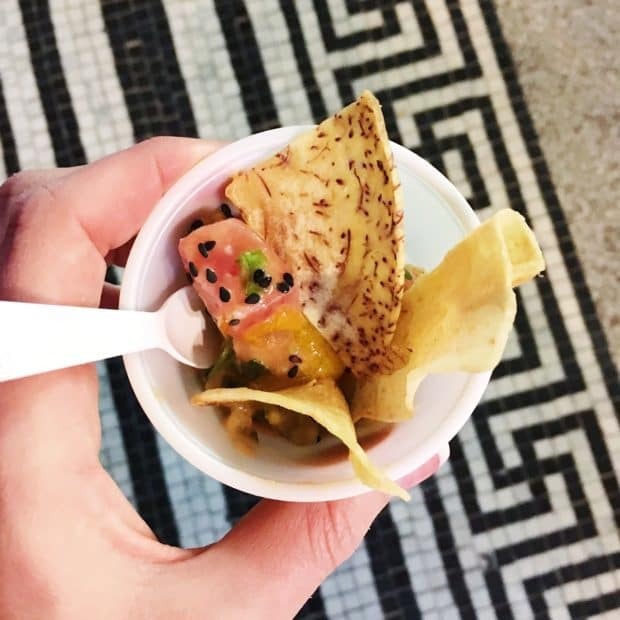 The entire week was a sensational blur of food, wine and cocktails that did the one thing I didn’t think it would do…. Top last year’s events! 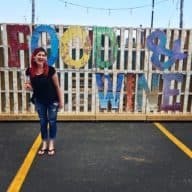 Even though I am sad to see the festivities go, I am here to share my favorites sips and bites from my favorite Denver foodie festival EVER. 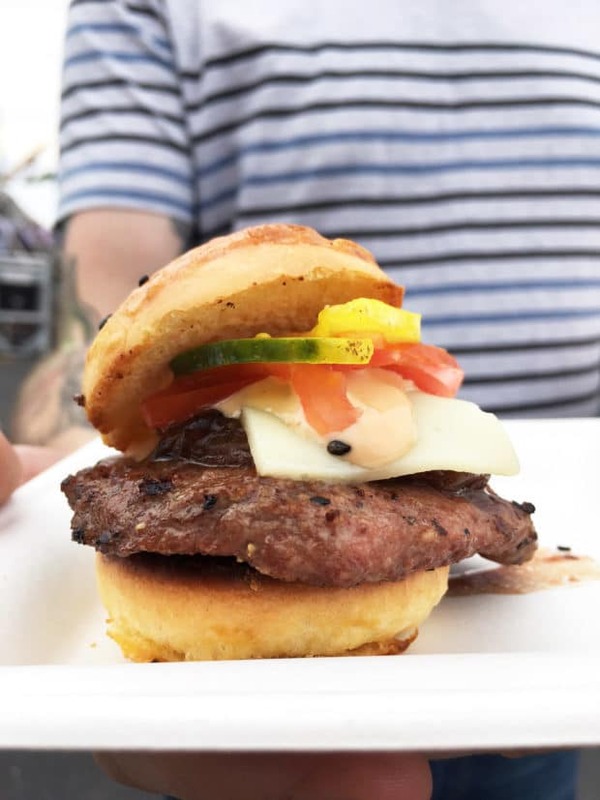 Here’s my Denver Food + Wine 2017 Recap! 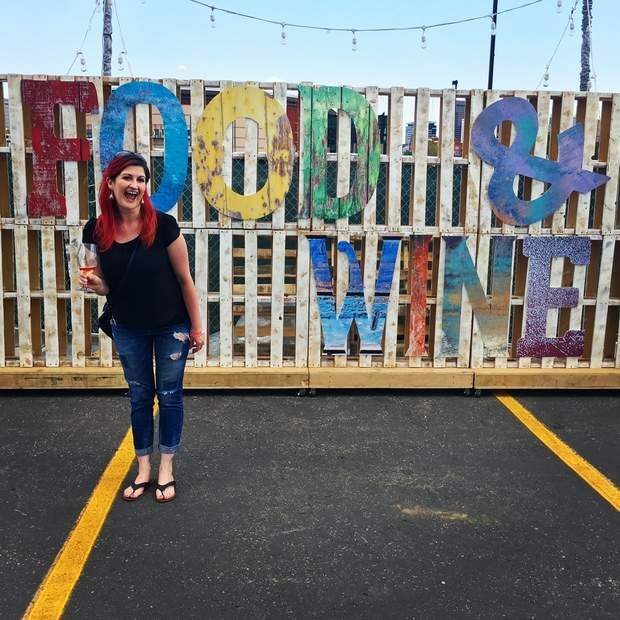 Disclosure: This post is sponsored by the Denver Food + Wine Festival! As always, all opinions are my own. Thank you for supporting the partners that support Cake ‘n Knife! 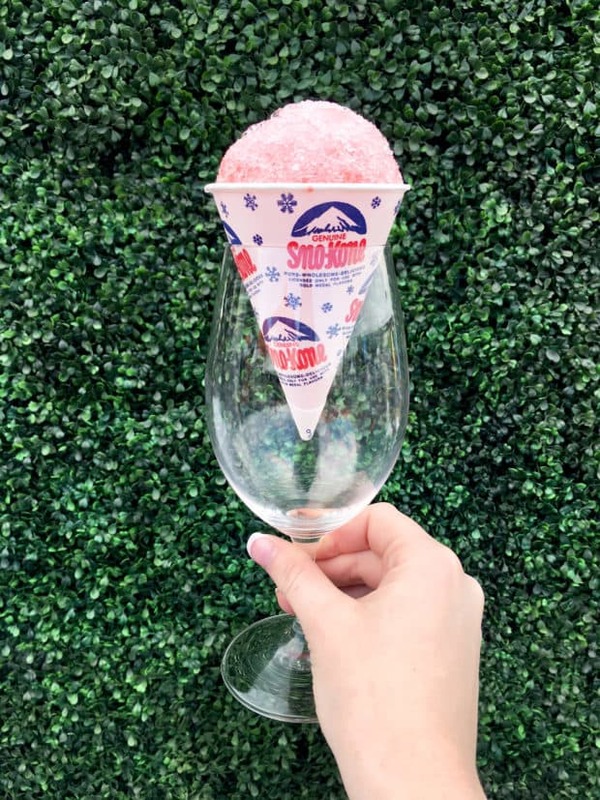 You guysss… You all knew I was excited about this year’s Denver Food + Wine Festival, but holy crap, I didn’t realize just how fantastic this year’s festivities were going to be. 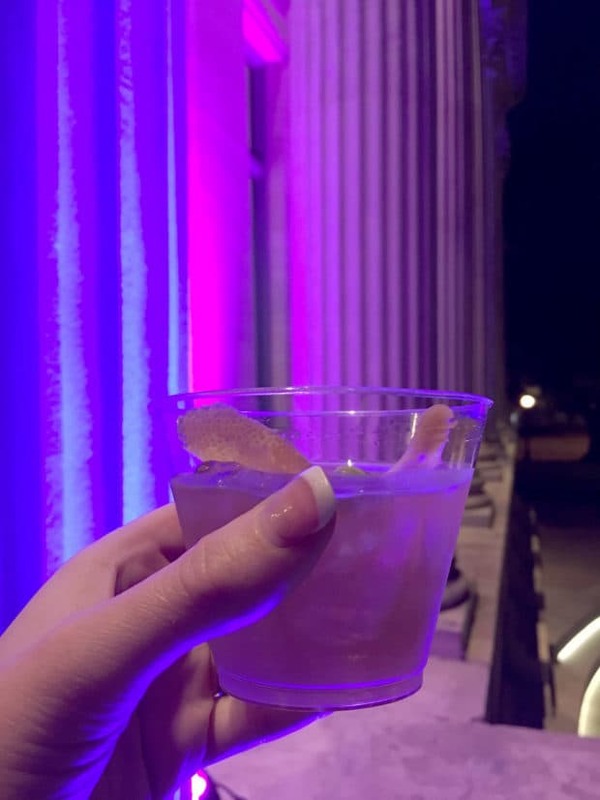 If you follow me over on Instagram, you got a peek into the experience of a lifetime (heck I even took over Denver Food + Wine’s Instagram a couple of times to share over there too!). Generally I gush about this week of foodie and cocktail/wine snob events, but this year…. Oh this year they took it to a whole new level of fun. I mean, they set the bar so high from tantalizing my taste buds to incredible music to some booths (ahem, I’m looking at you Patron) that took my breath away. 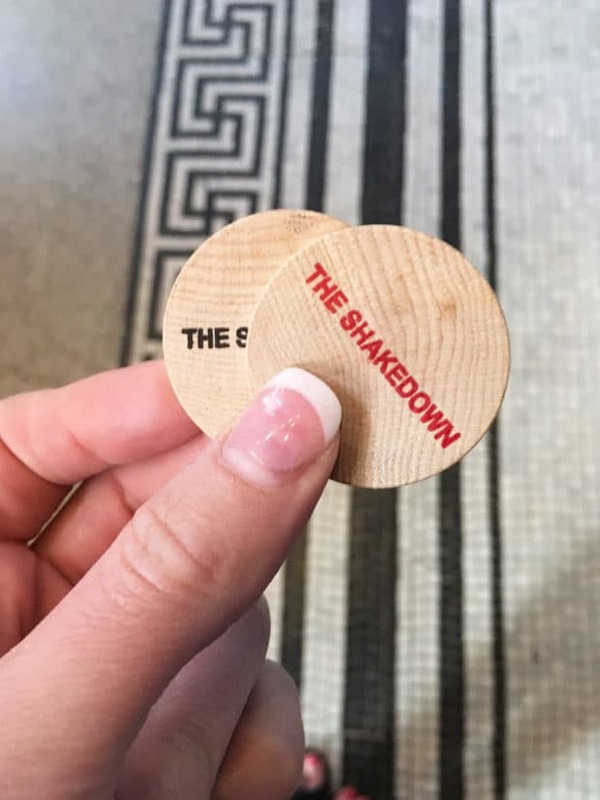 Again, I was delighted to be invited to experience the Shakedown cocktail and small bite competition on Thursday night last week. Obviously, cocktails are my JAM (as seen in my extensive booze section here on the blog) so sipping on new concoctions from bars and restaurants that I love around Denver is an experience I cherish. A true highlight was the Tiki-influenced cocktail that Sarto’s churned out. 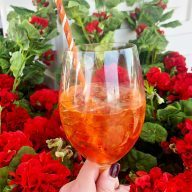 The Aperol Palizzata was a Tiki take on the classic Aperol spritz. Though I don’t generally love an Aperol spritz, this cocktail completely change my stance on the liqueur. So. DELISH. The Fake Rolex from Oak at Fourteenth was another highlight – and ended up getting my final vote (oops, am I not supposed to tell you that?) – with bourbon (duh), Lillet Rose, sherry, peach liqueur and OAK tropical bitters. Jala-cannoli from high school students through ProStart. 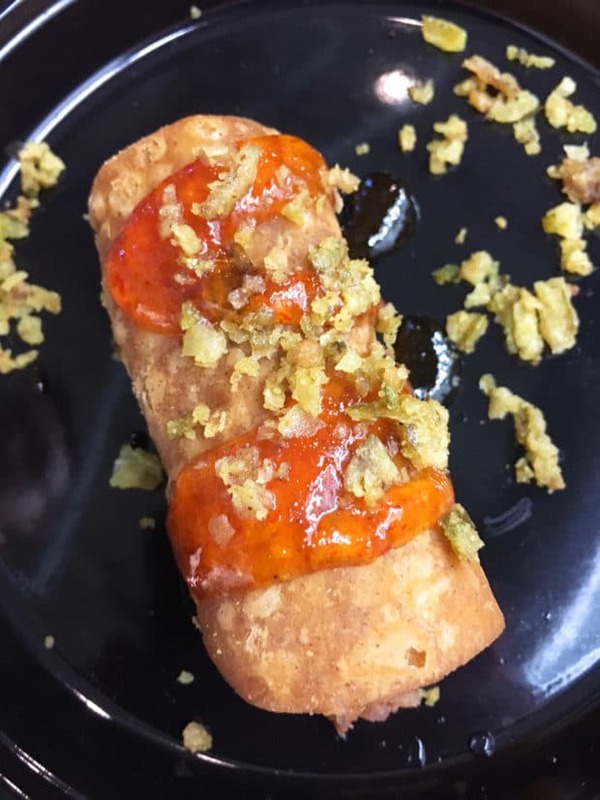 It’s everything you love about a jalapeño popper, stuffed in a cannoli. It was spicy, a little sweet and just the right blend of textures. I am honestly FLOORED by the talent these kids have. I mean, not only were they putting out amazing food, but they were pushing it out in mass quantities! SO incredible. Ahi Poke with Passion Fruit Sauce (GAH) from Public School 303 that refreshed my palette in the most delightful way. 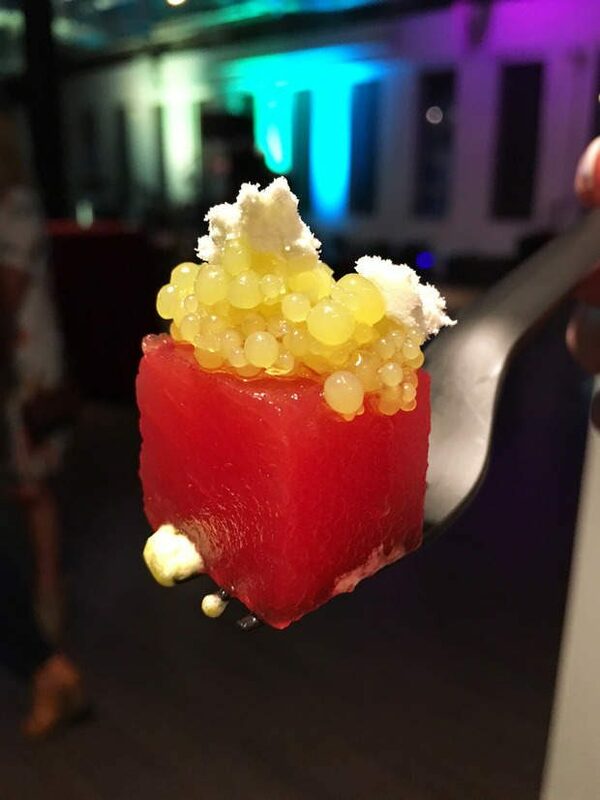 Compressed Watermelon with a Gin Gastrique and Lime Caviar from The Nickel. AKA the most interesting, mind-bending bite of the evening. Booze and food have never come together so well! Obviously, I was stuffed by the end of it. But the fun wasn’t over just yet. The main event came on Saturday! 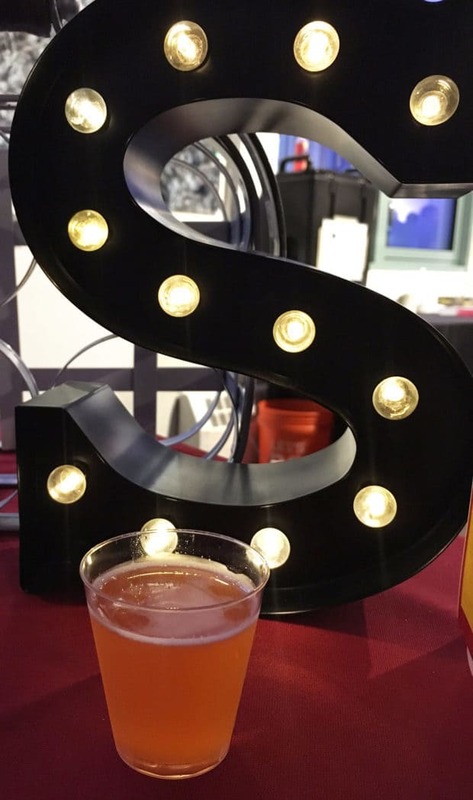 One of my favorite foodie events in Denver is hands down the Denver Food + Wine Grand Tasting. They round up restaurants, wines, and spirits in one place (not just a few mind you, there are over 700 wines to try!) and let the whole crowd go wild. Which is exactly what the Man and I did. The gorgeous Riedel glasses were there, which naturally I added a snow cone too. Because #Imanadult. Here that one image is again because I can’t help but think it’s pretty darn EPIC. There were spirits, spirits everywhere…. 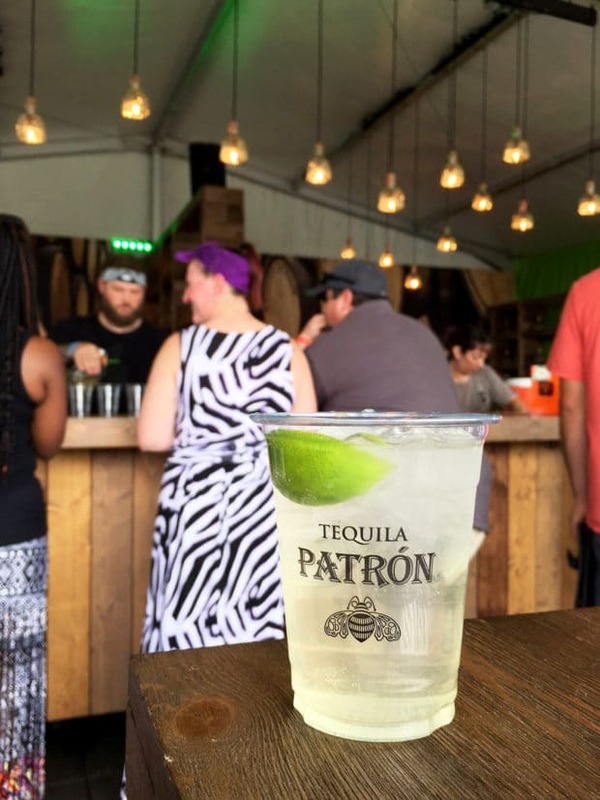 The stop at Patron (see photo earlier in this post) to kick things off is always a must for me. This year they had this GIANT area, with wood paneling, a full bar and outdoor seating that was simply stunning. 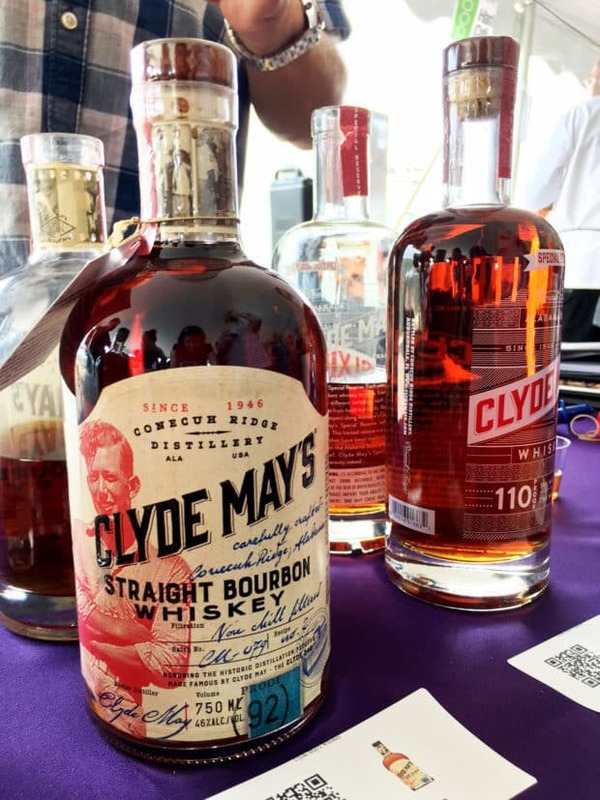 It’s become a bit of a tradition for me to find spirits I’ve never tried at these events as well, just like Elijah Craig last year, but I fell in love with Clyde Mays this year. I am becoming more and more of a bourbon girl, and Clyde Mays had the bourbon of the day for me. Not to mention they have this bourbon with apple pie flavors (no, not the sickeningly sweet ones like the moonshines that are out there)! 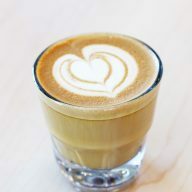 It’s smooth and silky and I am in the process of tracking down as many bottles as possible for our housewarming party! By far my best sip of the day, and that’s saying something considering how many cocktails and wines were in attendance. The first bite I had was actually one of my top two bites of the day! 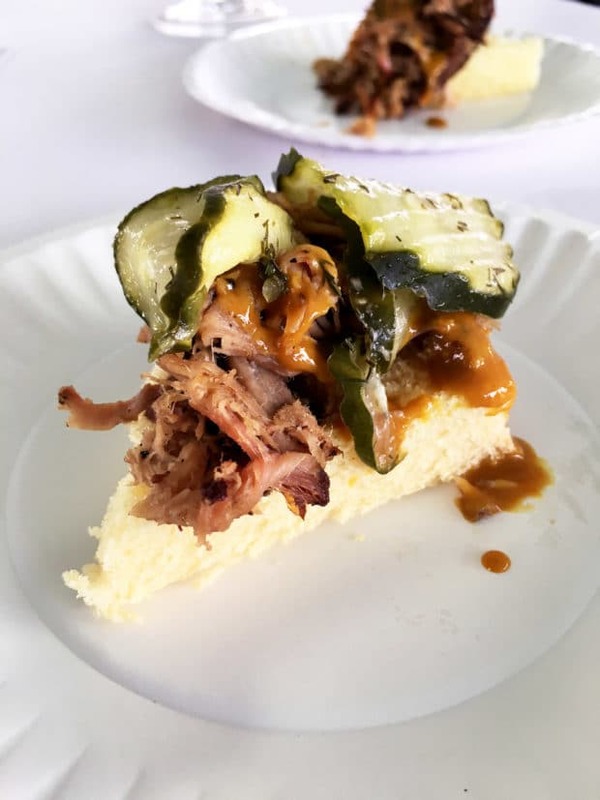 Say hellooooo to an epic pile of Carolina Gold BBQ Pulled Pork… with homemade pickles… SAUCY! My second favorite bite was from Del Frisco’s Grille. 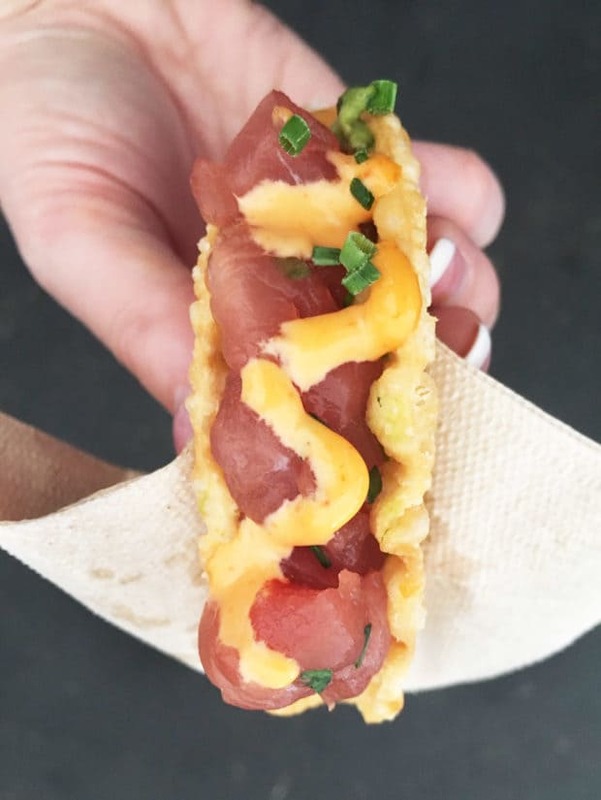 Their famous ahi tacos are famous for a REASON people. 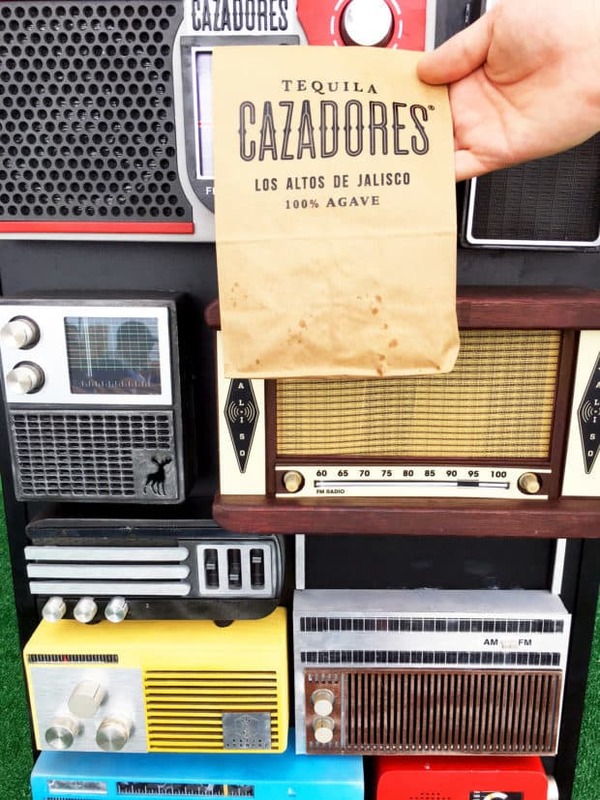 There were also chips and salsa from Tequila Cazadores. Rhein Haus brought out the big guns with classic mini sausages (the one covered in sauerkraut was obvi mine). I still haven’t been to STK but I DEFINITELY will be going soon because this stacked slider was AWESOME. 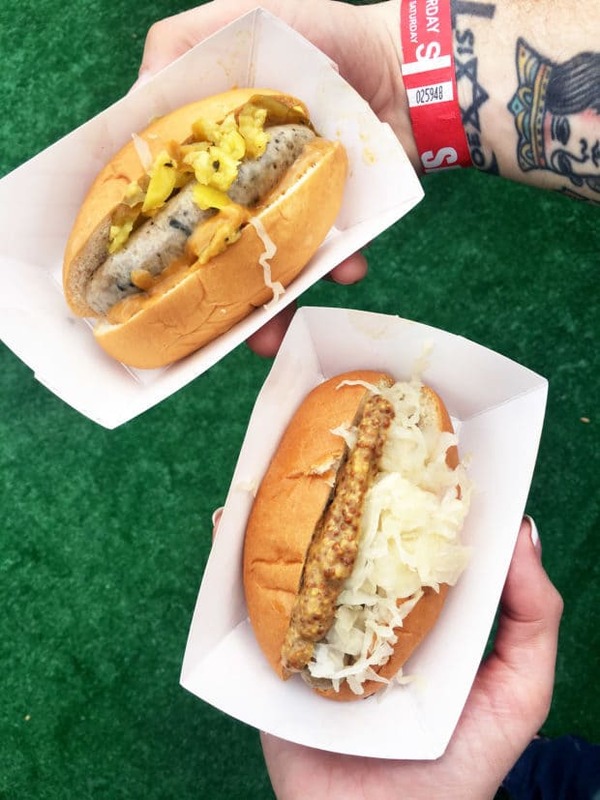 If you haven’t attended the festival before, go ahead and mark off the week after Labor Day next year to get in on this INSANE foodie week of events! Even if you aren’t in Denver, it’s about time you planned that epic trip out here, isn’t it?